Since 2001 Human Rights organizations, civic society, journalists and NGO have published enormous number of articles, reports, press statements etc. on prisoners and prison conditions in Eritrea. These can be found in the reports of Amnesty international, Reporters Without Borders, CJP and other Human Rights organizations, including on the Asmarino.com, Awate and other Eritrean websites. In the mid-2000s ERHEA took the initiative to group together the resources of the various websites in order to make them more easily accessible to the public and thereby facilitate public awareness of the gross human rights violations being perpetrated in Eritrea. Since then, EHREA has built up a large resource that has been drawn upon by interested people and organisations from every part of the world. To commemorate the 8th years of 18th September 2001, a brief chronological of the dark side of Gedli has been compiled by EHREA. It recalls the victims of the EPLF and ELF leaders on this day. The crimes against innocent citizens did not begin in 2001 by the PFDJ but has roots going back to the 1960s. This brief history aims to draw lesson from the past. The lack of democratic practice and intolerance of dissent by former Eritrean revolutionary leaders became entrenched after the 1991 liberation and have continued with further repression, human rights violation and injustices. Lesson need to be learnt from past negative experiences such as Gedli. The reconciliation and unity among civic society groups has to be built on a clear understanding of past mistakes and on a rejection of anti-democratic practices. Only on that basis can the Eritrean people's victory over the present autocratic government be assured. The following five members of Harakatwho were killed by the ELF force in 1965. 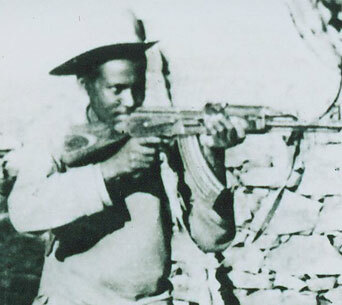 When Haraka had a plan to wage military activity inside Eritrea against the Ethiopian army in 1965, the leader of Haraka received a warning from the ELF spokesman, Osman S. Sabbe, who pointed out that a liberation front already existed and told Nawud that his organization should unite with it or face elimination. Despite this warning the ELM leaders dispatched a force of 50 armed men to the Sahel to fight the Ethiopians in May 1965, and six the ELM armed forced were killed by an armed contingent from the ELF force at Ela Tsada, in 1965 (Mengisteab, 2005; Bereketeab, 2000; Patemem 1990, Paice 1994, Iyob 1995, Shinn 2004). This happened due to the ELF Supreme Council's decision to take military action against the movement. According to Ahmed Mohammed Nasir who replaced Idris Mohammed Adem as chairman, in 1975 the chief reason for the ELF attacking the ELM (Harakat) in 1965 was its belief that the Field could support only one organisation [ Bereketeab, 2000 :184). added that Idris Mohammed Adem in particular, dislike the stretegy of the ELM to broaden its organisation through recuriting Christians. Because of this attitude of the founding leaders of the ELF religious anatonism was fanned leaving a legacy of reional and ethnic division which has left some traces among the leaders of current opposition groups. The death of Abrham Towelde is still shrouded in secret. Alem Tesfay 2003 explained the cause which led to the death of Abrha Twelde in the following way. "After Issays came back to the Ala groups from the meeting he held with members of the CIA, Issayas decided to split from the ELF. As a result of this there was an argument with Abraham Twelde who was against such move and also disagrred over the talks with the Americans and the Ethiopians. After a month of arguments between them Abraham Twelde died suddenly on 17 May 1970, which is still a secret for most of us.” Concerning this Erlich (1988: 97), states that one of Issays's main rivals in the rebel movement was poisoned to death. After Abraham Twolde death, Issays succeeded to the leadership of the group and took steps to split from the ELF. The Supreme Council of the ELF leadership instead of working for the unity of the Eritrean Liberation Army deliberately divided it by region and ethnicity through establishing five military zones based on a territorial division in 1965. The regional-based military structure had created mutual suspicion and hatred among the fighters and its consequence can be seen in 1967 when Osman Hishal, deputy commander of the fifth zonal division, summarily executed 27 Christian fighters alleging poor performance or for the military setback from which they suffered(Paice 1994; Markakis, 2987; Sherman, 1980, Human Rights Watch 1990) Amar (1997:82) also mentioned that Ghilai who was a political cadre in the 5th Zone was also killed by an ELF unit leaders,in 1967. Probably he was one of those 27 victims who were excuted by Osman Hisha. Abdalla Idris was the head commander of the fifth zone who is responsible for the massacre of these fighters. As a result of the ELF leaders use relgious prejdue and regionalism large numbers of ELF fighters were captured or gave themselves up to the Ethiopia government during 1967-1968. This gave an opprtunity for Ethiopia to publicize that the Eritrean nationalist struggle was as a religious and tribal insurgency led by Islamic fanatic. Kidane Kiflu joined the ELF in the mid 1960s and was working at the ELF office in Kessala. According to some source during this time Kidane had been sent by the ELF to recruit Addis Abeba University in 1965. From then students from Addis Abeba University started to join the armed struggle. In 1969 Wolde Ghidey and Kidane Kiflu were assasinated in Kessala by the ELF. Meles Ghebermariam who was formerly an activist at the Haile Selassie I University, joined the Selfi Nasnet from overseas. After serving as a ganta(platoon) commissioner, he was suddenly apprehended in 1973, and executed. Tewolde Tesfamariam, who joined from Hamburg in 1972, was also executed. Both of them were alleged by the EPLF leaders to have been foreign agents, and particularly that the working for the CIA. According Mengisteab, during the menka movement, Issays group within Selfi Nasnet spread the rumour that there were up to one hundred and fifty CIA agents within the movement (Megiesteab Kidane 2005:49). The Selfi Nasnet, a totalitarian organization from its inception, had some sort of cubbyhole for everybody. In the beginning, suspects and victims were mostly from the semi-proletariat class, according to the Marxist lexicon. Intellectuals appeared immune from the witch-hunting. This temporary reprieve did not last long . (Zekere Lebonna - Feb 02, 2004 ). As mentioned in the previous note from 1966 onward there was a growing number of Eritrean students who joined to the struggle. Markakis explained this by saying that Eritreans at Addis Abeba university distingushed themselves by their political activism, and their immersion in the radical ideological currents that were beginning to surge in Ethiopian student circles in the mid 1960s(National and class Conflict in the Horn-1985, p119). But students were not welcome by the Kiada Al Ama. For example in 1969 between 200 and 300 students who joined to the ELF from Addis Abeba University were executed. Issayas was one of the member of Kiada al Ama leadership who is responsible for the massacre of those students ( Siriyet Addis)in 1969. By some accounts, between two hundred and three hundered Christian fighters and fifty Christian peasants were executed at the behest of the ELF leadership ( Megisteab 2005:42). In the early 1970s when many progressive Eritrean students from Haile Sellase I University and abroad joined the EPLF they were also not welcome to the leadership. Most of the students who came from university in Ethiopia were more progressive fighter than those who separated from ELF and were seen as potentially a rival ideological force. .As Mengsteab (2005:51) claims “According to some accounts, Isaias was never comfortable with the new arrivals from Addis Ababa, especially with Mussie and Yohannes". He was the political envoy of zone two (during the period (end 1965 when the ELF divided the Eritrean forces into 4 military administrative zones and then 5). He went to China for training with the first group who went there. Regarding his death according to the ELF " he was killed (martyred) during the first Eritrean civil war. So, Eritrean lost a brave, intelligent and nationalist hero, in a useless civil war. He had the qualities of promising leadership.". However, according to a reliable sourceMahmoud ibrahim -chekini was murdered in the Sahel, 1971. He was a member of the ‘other’ 19-person Executive Committee Elected by 1st ELF Congress in 1971. Habte Selassie was executed for having allegedly “spied” for the Ethiopian Government and the CIA in 1975. Regarding this Ammar (2004) states that Habte-Selassie was killed for having know to much about the meetings at Kagnew Station and the differences that emerged among the leaders of the faction. Indeed Habte Selassie played an active role in organizing the meetings at Kagnew Station with Tesfa Michael Georgo. Tesfa Michael Georgo was killed by the EPLF in Addis Abeba in 1993 also for having know the secret talk which was held between Issays and Richard Copeland, from the CIA . (According to some source his true name is Miles Copeland who reruited Abdel Nasser) Find more about the story of Issayas secret meeting with the CIA representative in the early 1970. In 1977 the conflict between those who were seeking greater democracy (the Falul movement) and the ELF leaders who were against change led the ELF leaders to take military action against the Falul. He was martyred along with martyr Abdul Kader Ramadan. It was said that they were killed by “Falul”. Keshi (2003) states that Seyoum Harasta (who became the ELF-RC Chairman after Ahemed Nassir) grew faster through the rank and file of the old ELF than anybody else. He became the mouthpiece of ELF leaders in campaigning against the grassroots movement in 1977. In the 1970s the victms of the ELF leaders were not only Falul but also those fighters who crticized the leadership of the ELF. Those who were eliminated under different cover up Yemin, Dugul Yemin, Dugul Falul). Dehab Tesfatsion& Aberash Melke were reportedly discharged (terefiten) . However, there has not been any news about them from their friends or relatives since then . According to a reliable source both of them refused political indoctrination and self-criticism consequently executed at Gerger (Belekat) in 1979, This was when Wodi Woldu and other who participated in the Menka movement were released from Halewa Sewra[ EPLF’s prison ] after their self-criticism in 1979. Woldenkel Haile was a very distinguished military leader. He made clear his stand on the Menka ringleaders when he was the head of the security department in 1973. Woldenkel said that the Menka ringleaders did not commit a crime apart from breaking military discipline rule. This was completely different from Issayas. As a consequence of this Weldekel was removed from the EPLF security Department and sent to the Hailitat in 1974 . Furthermore he was not elected for the Central Committee in 1977 which was a surprise to everyone. Others faithful to Issayas became members. Weldekel was the most well-known military leader next to Ibrahim Afa and had led the Eritrea People’s Liberation Army to victory at the strategic town of Segeneti in 1977 but Woldenkele was killed shortly after the victory by an unidentified gunman at Segeneti, his birth place in 1977. When this occurred there was a radio message in this code " Itia Abai Lham Ab Mereta Wediqa", meaning that the great leader rest on his birth place. in 1969 said that in terms of respect for justice he could not see any difference between the ELF and EPLF leaderships. Consequently he, too, was arrested in 1975 and was executed in 1980.
too was against Shabia and eliminated. The Menka movement started in September and Isayas talked of it in January. A paper is lost written by Tewelde Eyob "at Adobha meeting we claimed our youth were killed and we condemned the ELF. This will be our everlasting condemnation, the case must met democratically changed." He was charged to becoming Menka and secretly demoted from top leadership post. He was imprisoned in June or July of 1974 and killed like the Menka. We all knew he was killed. Nothing is kept secret forever. Some secrets are known from leaders. 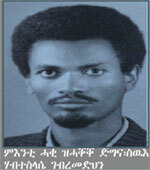 In late 1977 Petros Yohannes joined the EPLF together with Yemane Monkey and Girma Asmerom from the USA. When Petros was member of ENASA in the USA, he had started inquiring about the injustice of the Menka group's arrest. Because of this he became a target of the EPLF that eventually caused to his mysterious death in 1978.
the EPLF version. There remains a suspicion about how in such a serious accident Yemane and Girma survived unharmed? "Shabia has a long history of killing its own people. Had the ELF-NA (6) been in the field in Eritrea, they, too would have been Shabia victims, just like Menka"
and translated a number of Marxist works to Tigrigna in 1975 .
following an alleged Maoist line or sometime known as Bitsay Menkiskas. Some of the victims included: Goitom Berhe, executed in 1978 at Gerger; 2)Mesih Russom, executed in 1980 at Arag ;3) Tewolde Eyob, executed in 1980 at Arag ; 4)Teclai Ghebre-Kristos, executed in 1980 at Arag ; 5)Michael Bereketeab,executed in 1980 at Arag ; 6) Haile Yohannesom, executed in 1980 at Arag ; 7) Samuel Ghebre-Dingil, executed in 1980 at Arag ; 8)Bereket Haile, executed in 1980 at Arag ; 9) Memhir Tecle Habte-Tsion, executed in 1980 at Arag ;10 Alem Abraha, executed in 1980 at Arag and others. In the EPLF there was also a policy of purge and liquidation on the alleged Yemanwi kinfi (right wing) in 1978. Yemanawyan Menkiskas was the continuation of the democratisation movement. This movement against corruption in 1977-1978 was when most of the town had been liberated by the EPLF.Among those fighters killed for criticism against corruption of the EPLF leaders 1) Dr Eyob Ghebre-leul, educated in the USSR, executed in 1980 at Arag ; 2) Mehari Ghirma-Tsion, educated in the USSR who joined the EPLF withHaile Menkorias 1972, executed in 1980 at Arag ; 3) Ghebre-Michael Meharizghi; Addis Abeba university graduate, executed in 1980 at Arag ; 4) Hibret Tesfa-Ghaber, executed in 1980 at Arag ; 5) Kidane Abeito, executed in 1980 at Arag ; 6) Fissehaye Kidane (Germen), executed in 1980 at Arag ; 7) Haile Jebha, former EPLF interrogation section chief, executed in 1980 at Arag ; 8) Araya Semere, executed in 1980 at Arag ; 9) Ammanuel Filansa; 10) Solomon Wolde-Mariam, key EPLF leader between 1970-1977,executed in 1988 at Hishkeb and, others. Mogos Fassil, Addis Ababa law graduate, narrowly escaped death by fleeing from gun-point. leadership between 1970 and 1977. As mentioned earlier he played a key role with Mesfin Hagos in the arrest of Twolde Iyob in 1975. A year after Twolde was arrested, Solomon became a next target of Issayas and Mesfin Hagos during a period of preparation for the EPLF first organisational congress in 1976, and there was a strong campaign with Cader School (Bet temherti cader) against Solomon and his group such as Tesfamariam Wedi Basha(who is currently Eritrea's ambassador to Israel) on the alleged Yemanwi . Regarding this when he was asked about them by the public at the meeting in Keren in 1978, he admitted that all of them were innocents. 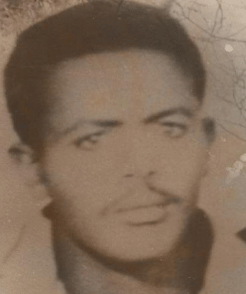 Teklay Aden, an EPLF security chief who defected to the Ethiopian regime in 1981, revealed that three thousand fighters were physically liquidated by the Front between 1973 and the time of his defection 1980.